In a historic decision, on 3 December 2015, Defense Secretary Ash Carter announced that all combat positions will be opened to women throughout the Armed Forces. Though the decision is set to be implemented in January 2016, it is unlikely to be the close of heated debates on the role women should play in combat. Historically, women have been serving in our military ranks, facing combat dating back to the Revolutionary War. One of the earliest well documented cases of a woman serving in combat is the story of Deborah Samson Gannett. According to an article written by Jenny Wood, Deborah Gannett enlisted in 1782 into the Continental Army during the Revolutionary war, under the name of her deceased brother, and she ended up serving for about 17 months under cover before being shot during battle and discovered to be a female. There are endless accounts of other women secretly entering the military ranks, posing as men and actually serving in combat. In 2011, CNN reported that there were over 200,000 women serving in active-duty military, which made up 14.5% of the active duty force. Enlisted women had already made up about 2.7% of the front-line units, says CNN Staff. If women are serving and, in turn, deploying, then combat is unavoidable. 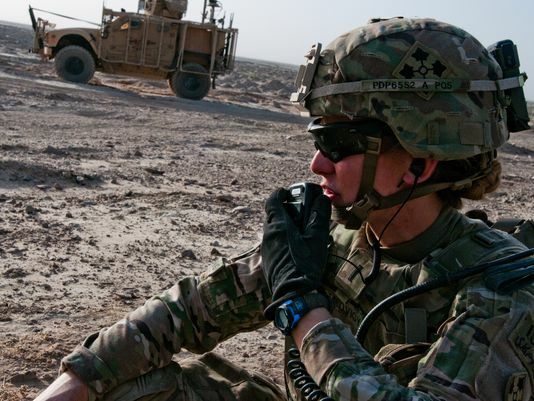 There are several common arguments against women being integrated into the Infantry and front-line units and, while some are simply subjective opinions, there are also valid points that are impossible to ignore. Physical limitations is, without a doubt, one of the more alarming causes for concern. As a whole, men are physically stronger. That is common undeniable knowledge. However, these soliders will be evaluated by standards individually. There are women out there that are physically capable just as there are many men that are not physically capable. These combat positions are not for everyone since they are for the elite. 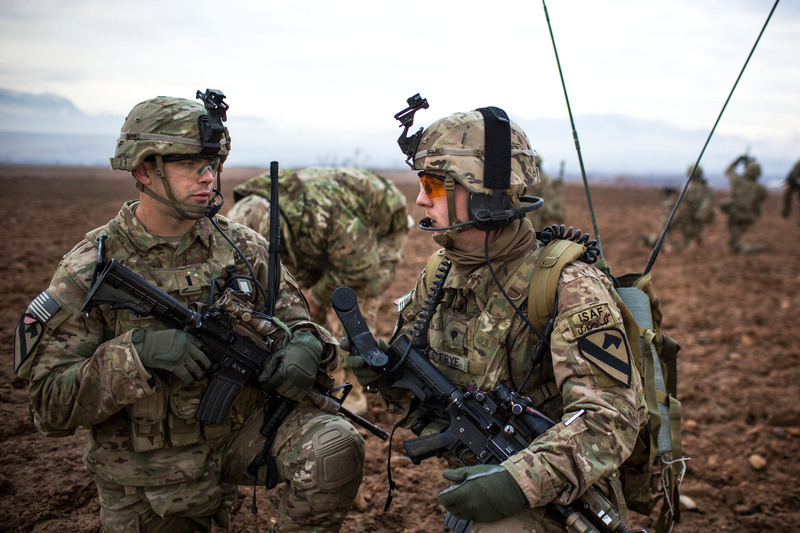 Soldiers from Company C, 1st Squadron, 8th Cavalry Regiment, 2nd Brigade Combat Team, 1st Cavalry Division, conduct a dismounted patrol around Tarin Kowt, Afghanistan, Jan. 12, 2013, as part of an exercise to validate them as the Theater Reserve Force. (U.S. Army Photo: Cpl. Alex Flynn). These stories of personal experiences of men fighting side by side with females are endless. However, not every female is fit to fight, but if there are, then let them. It just opens the recruit pool, and it ensures that with no stipulations the most qualified soldiers are on the battle field. If a female beats the physcial barriers and proves herself battle ready for the Military Occupational Specialty(MOS) that entitles her to engage in combat, the next obstacle opposers will be throwing out against women in combat is the perceived emotional frailty of women, which will prompt the opposition to ask: Can women hack hanging with the guys in a tough, no fluff enviroment? It is true that women are twice as likely to experience Post Traumatic Stress Disorder (PTSD), but, again, it is all subjective. The majority of females cannot withstand it but, realistically, neither can the majority of males. According to Karl W. Eikenberry, a retired Army lieutenant general, who wrote “Americans and Their Military, Drifting Apart” , less than 0.5 percent of the population serves in the armed forces. Even out of that small percentage, there are grown men who get to country, get in live fire situation, or even basic training that cannot hack it. Women are twice as likely to experience PTSD, but it brings up an interesting thought; if these females who have come into combat were trained like the males in these combat positions, would they be more prepared for live fire and battle? It’s a common saying and thought that the military turns boys to men, meaning after being broken down by instructors and leaders and essentially trained to kill and survive as a cohesive unit, they are stronger than when they came in. They are turned from weak folks, to a force. If women meet the standard to get into these positions, might their training significantly impact their emotional ability to handle the stress? I will say yes. According to Major Eric Puls, in a Time’s article about female soldiers within their unit, “Fact is, war can make men forget they’ve been serving alongside women. If you were to put them in a line with a bunch of soldiers with body armor on and all the dirt and dust, you couldn’t tell the difference. They were never thought of that way.” There will always be bad seeds but, just as the military successfully did away with “Don’t Ask, Don’t Tell” and integrated open homosexuals into the ranks, the same will happen with women. No matter the nature of the opposition to this new development, the fact is this: decision has been made, and women will be integrating into the units and there are going to be many adjustments to be made and training opportunities to be made available to accommodate the new female combatants. In essence, a soldier is a soldier and standards are standards. Nonetheless, a woman will be the soldier to the 6, and I have no doubt that she will add invaluable value to the US Armed Forces as a combatant.